A team of researchers, all members of the International Headache Genetic Consortium, has uncovered 28 newly identified independent genomic regions associated with migraine by combining data from 22 genome-wide association studies that also included new data from approximately 35,000 migraine sufferers. 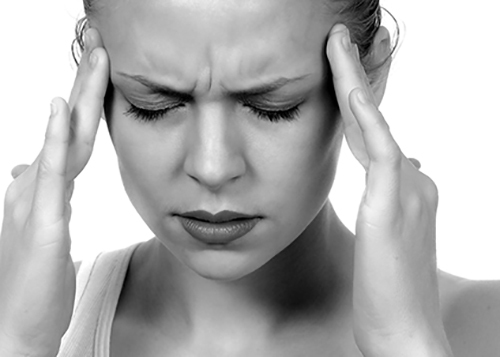 The findings from this study were published recently in Nature Genetics in an article entitled “Meta-analysis of 375,000 individuals identifies 38 susceptibility loci for migraine.” From the millions of genetic variants analyzed, 38 independent genomic regions were shown to be associated with migraine—with only ten of these regions having been implicated in migraine susceptibility previously. Migraines can be an incapacitating neurological disorder that affects one in seven individuals worldwide, yet the molecular mechanisms driving this malady have remained elusive. Researchers used DNA samples from 375,000 European, American, and Australian participants—with almost 60,000 of them suffering from migraine. Interestingly, when the researchers took a closer look at the genomic areas pinpointed in the study, they noticed that most of them overlap with known genes. As many as nine of the genes have been previously associated with some vascular disease, and four more are known to be involved in the regulation of vascular tone, supporting the importance of blood vessels in migraine attacks. The teams of researchers hailed from a dozen different countries including groups from Australia, Denmark, Estonia, Finland, Germany, Iceland, the Netherlands, Norway, Spain, Sweden, the UK, and the USA.